We hope you had a swell time interacting with the Kiiah team at the National Bridal Show, ‘cause we sure did! Got one of those fancy reward cards on you? It unlocks a lower rate of 4.95% on your Kiiah Wishspace, instead of the regular 5.95%. That means you receive more gifted funds into your bank account, and less goes into ours! Sign up for a shiny new Kiiah account. Use the code on your card as a temporary password & activation code. 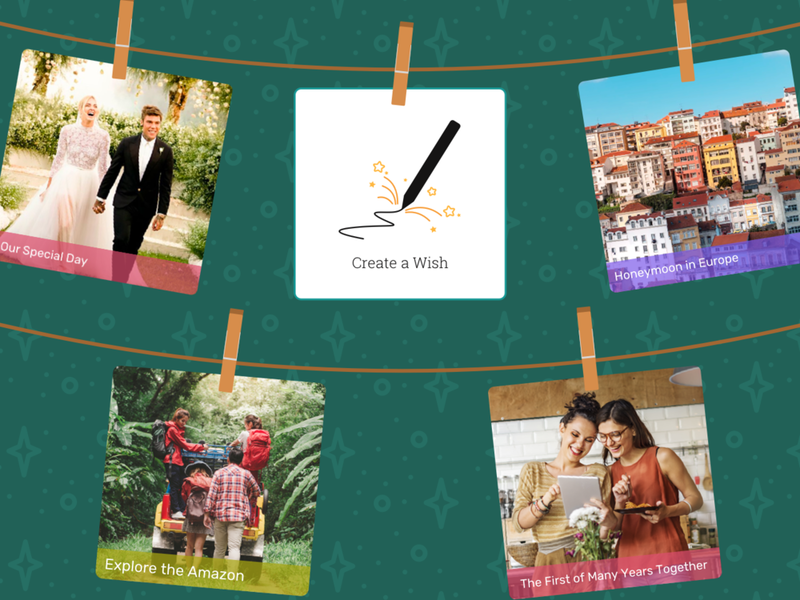 You may now get carried away & start populating your Wishspace! Need help? Ask us a question in the chat icon on the bottom right corner of your screen!